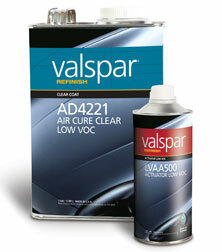 A Low VOC air dry clearcoat which dries rapidly without any baking required. This clearcoat offers wet-on-wet application, with no flash time required between coats. It is easy to spray with superior flow and leveling.